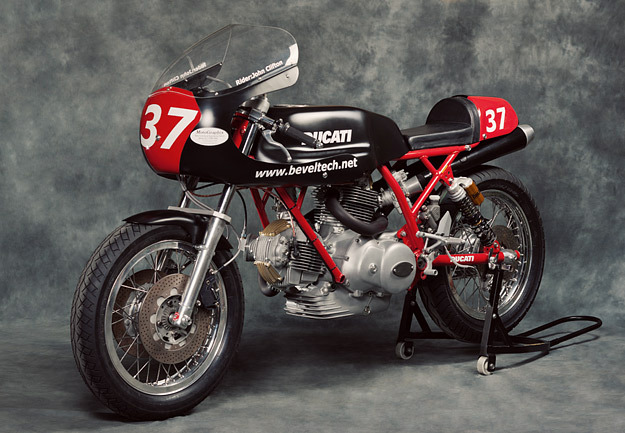 In Australia, Tony Hannagan of BevelTech is the man to call if you need help with a classic Ducati. And this sleek black-and-red beauty is his latest build. 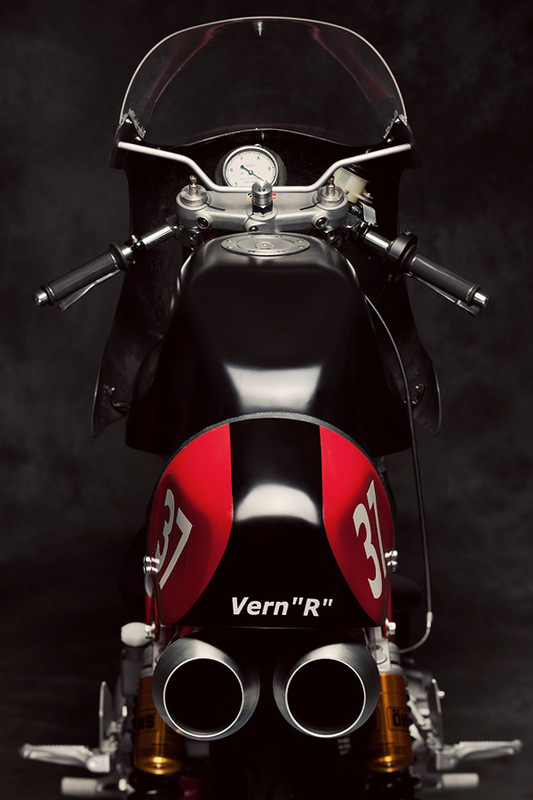 ‘Vern R’ is a Ducati 900SS based racer designed for the BEARS series—meaning “British, European, American Racing and Supporters”, a club set up by the late, great John Britten. 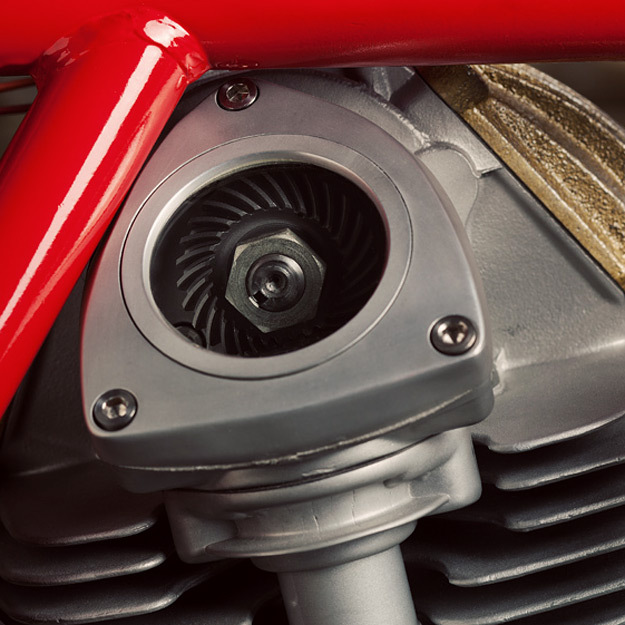 Hannagan has taken the frame and motor from one of his heavily modified road bikes, and developed the machine for the track using the time-honoured principle of adding lightness. Dry weight, as seen here, is a trifling 290 lbs (132kg). To keep running costs to a minimum, Hannagan limited his engine tuning mods. He’s fitted Imola cams, cleaned up the ports and installed higher compression Cosworth pistons. He trimmed the engine weight by using magnesium rocker covers (from Norway, of all places), removing the alternator and narrowing the engine cover, and fitting a roundcase motor clutch cover. The heavily cut down gear selector case and fork brace were brought out from under a bench, where they had been hiding since Tony last built racing bevels back in the 1980s. The 860 frame has been modified to the same geometry as a 916, with the motor rotated back 8mm. The twin shocks (required by racing regulations) are mounted with the same geometry as Barry Sheene’s RG500. 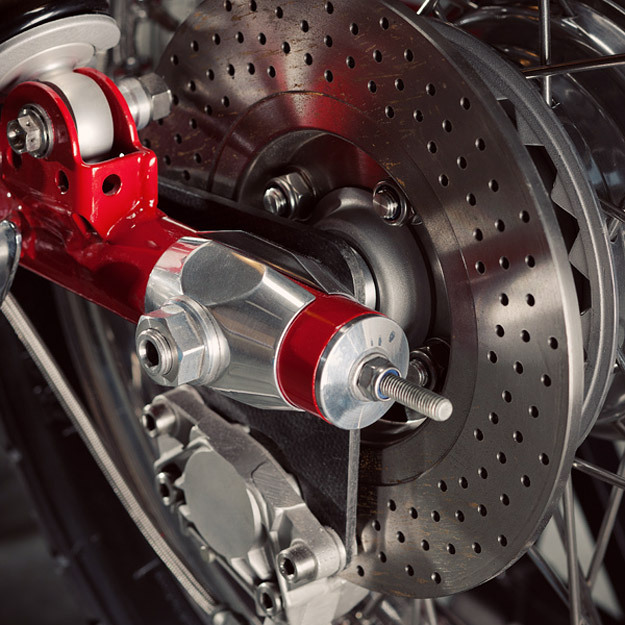 To reduce weight even more, Hannagan has fitted titanium fasteners wherever possible and removed every bit of unnecessary metal—even halving the number of mudguard mounts on the forks. 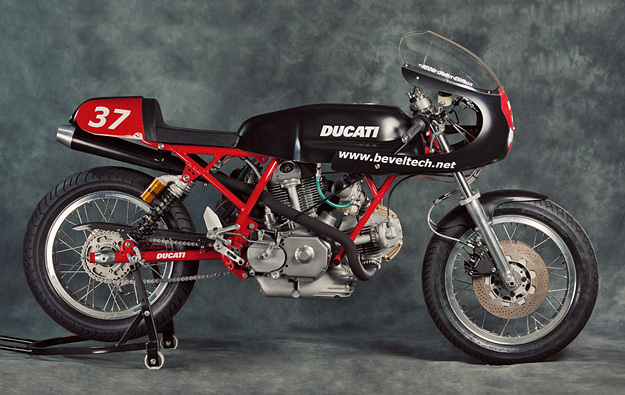 The Ducati 900SS is still being tested, so the exhausts are unmuffled for now. I bet this one sounds as good as it looks. Thanks to Phil Aynsley for the images. Phil’s book Ducati: A Photographic Tribute, with a foreword by Troy Bayliss, is available from Amazon.